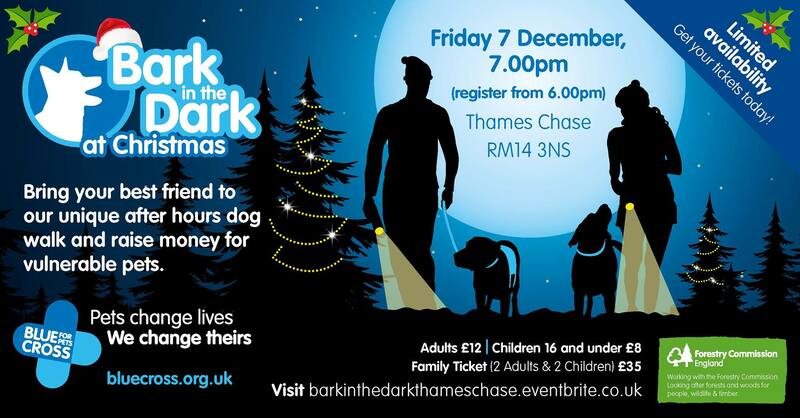 The Blue Cross is organising Bark in the Dark, a series of after-dark walks to which you can take your dog and raise money to care for homeless pets. On Friday 7th December 2018 it will host one at Thames Chase Forest in Upminster, from 6pm to 9.30pm. Setting off at sunset, you’ll follow our unique 5k glow in the dark trail. 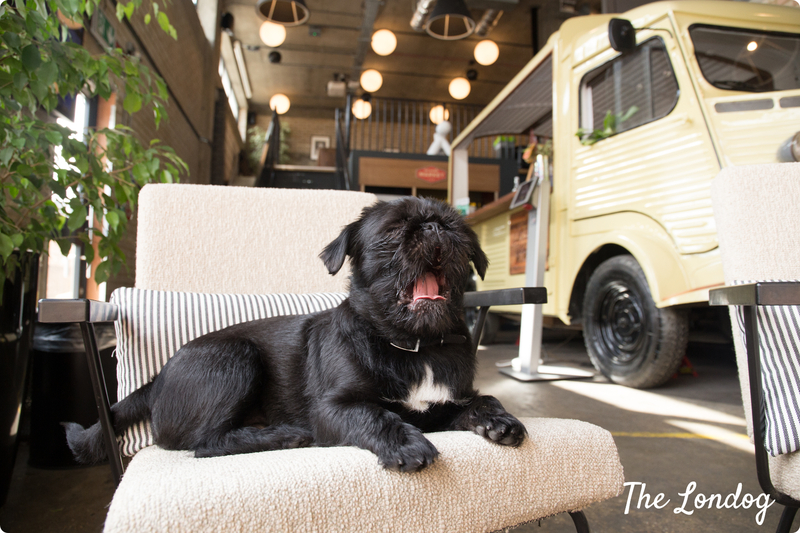 Light the way with a head torch, grab a night collar for your dog and join the fun. See the forest like never before! Tickets are limited so be sure to purchase yours now to avoid disappointment. Registration on the day opens at 6.00pm, the event will start at 7pm prompt and will finish at approx. 9.30pm. Anyone arriving after the walk has left the starting point will NOT be admitted to join the route due to health and safety reasons so please ensure you arrive in good time – there will be lots of stalls and refreshments available in our Christmas Village to keep you busy while you wait (bring cash as some stalls many not accept card). Parking is NOT included in the ticket price – there will be pay and display machines taking cash only that you will need to purchase a ticket from. A child (16 & under) cannot take part without an adult. All proceeds will be going to help the pets in our care. Our doors are always open to them, and with your support, they always will be. Tickets cost £15 for adults, £8 for children under 16, £35 family ticket (2 adults and 2 children), available here.